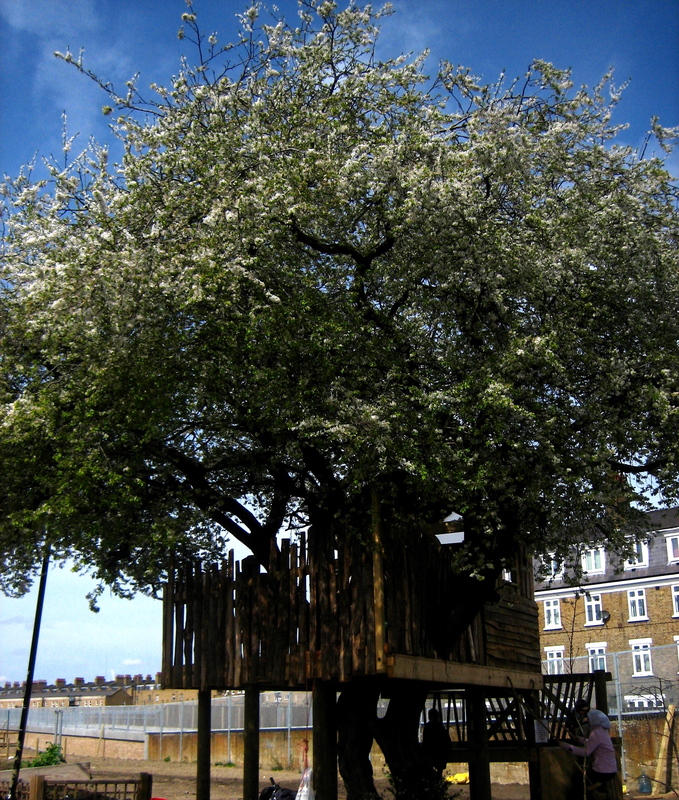 The May blossom at the Spitalfields City Farm was still in bloom under a blue sky to welcome me when I arrived in search of spinach & eggs, in anticipation of one of my all-time favourite lunches. 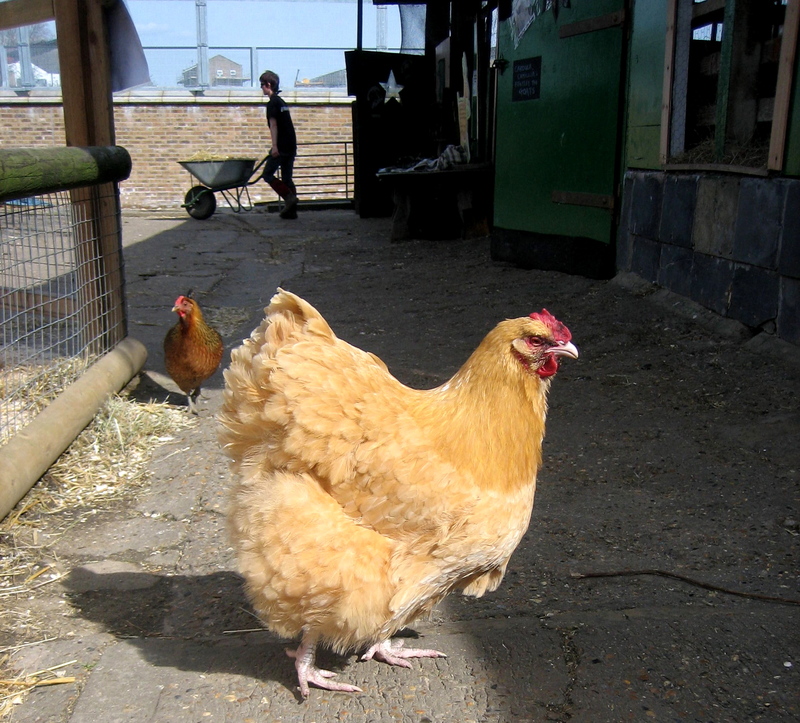 At the far end of the farmyard, I was greeted by Helen Galland, the animals’ manager, whom I interrupted from her mucking-out duties to sell me half a dozen freshly laid eggs. I deliberated between hens’ and ducks’ eggs so Helen kindly gave me three of each, £1 for the lot. 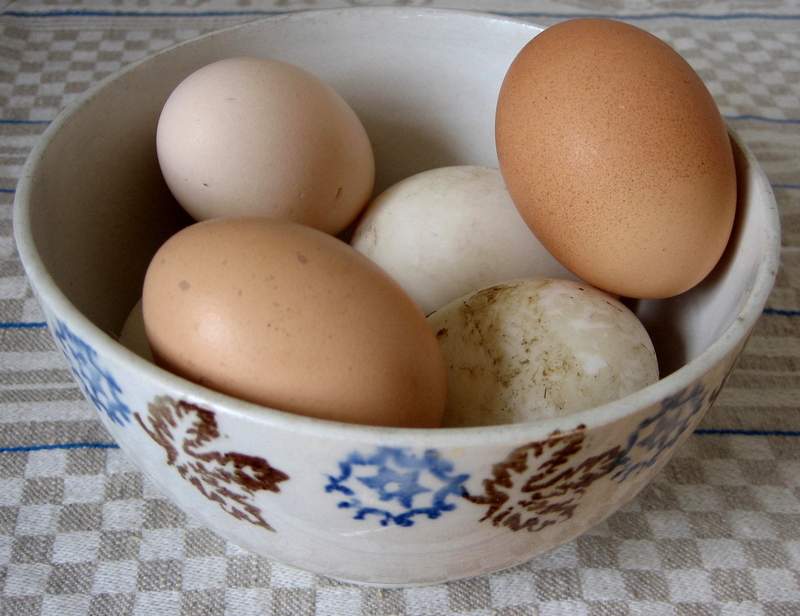 I stowed the half-dozen eggs in my bag and walked over to the other end of the farm where the vegetables are grown. 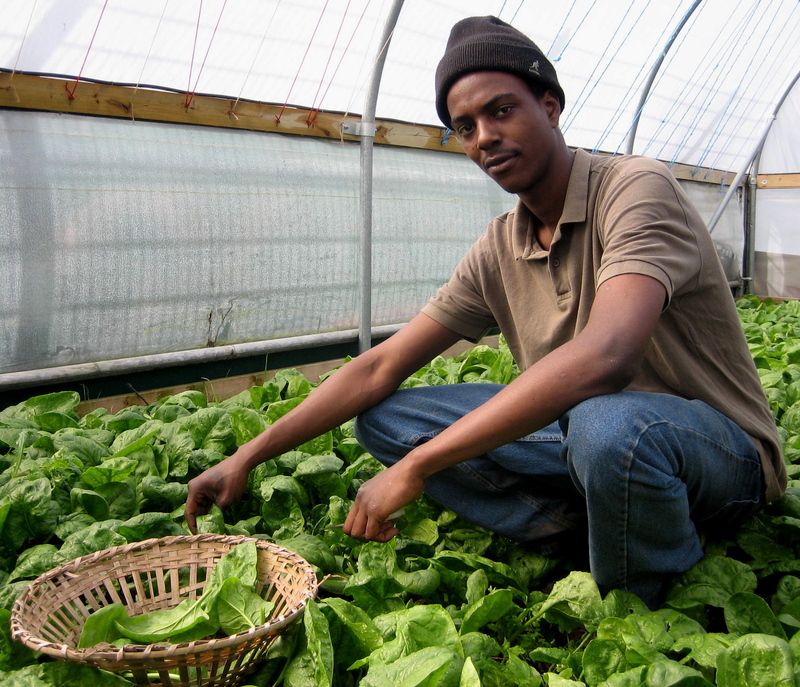 Here, Chris Kyei-Balffour, a community gardener, led me into the humid atmosphere of one of the polytunnels to admire a fine patch of spinach that he grew, glowing fresh and green with new leaves in the filtered sunlight. 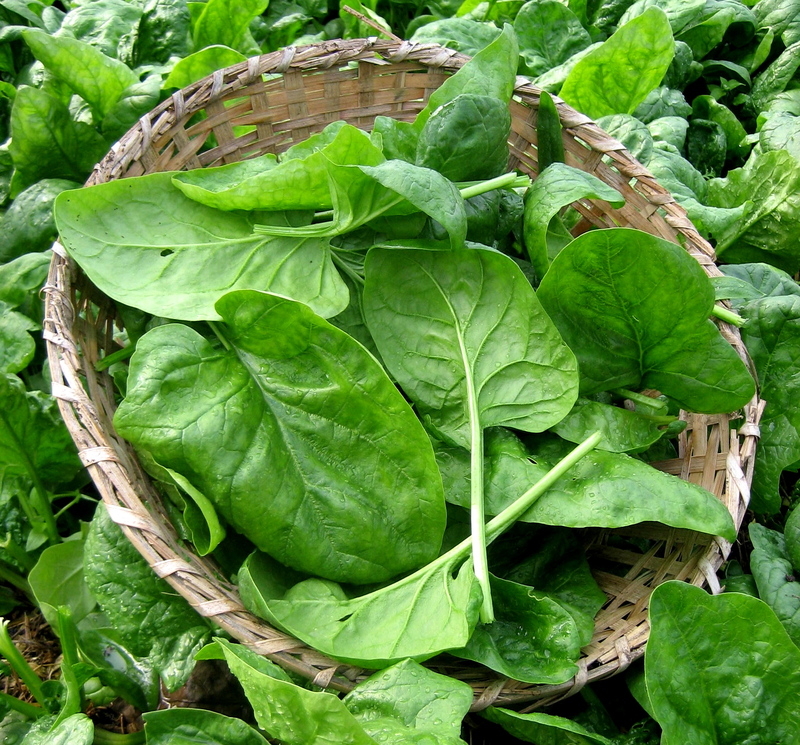 To my delight, Chris picked me a basket of the most beautiful fresh spinach I ever saw and presented it to me. We shook hands and it was my privilege to buy this spinach for £1. Thanks to Helen and Chris, I carried my ingredients of spinach & eggs away for a mere £2. 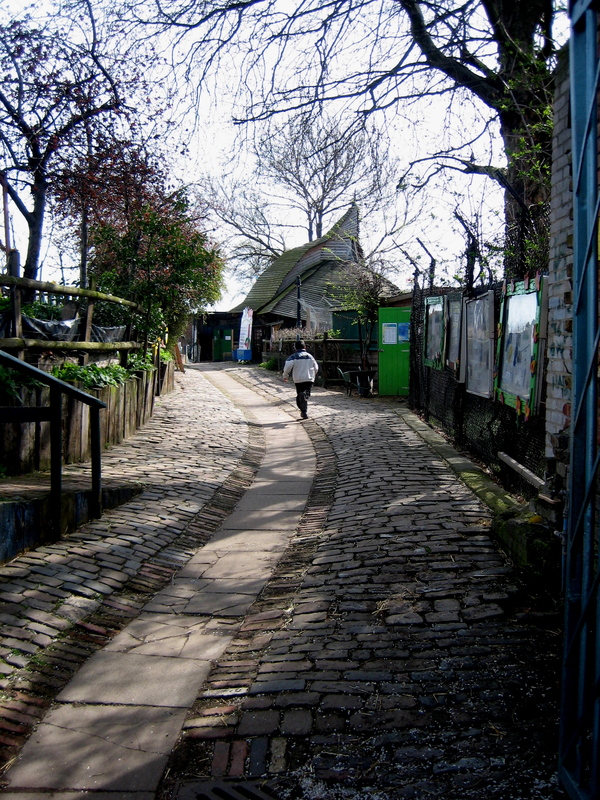 Anyone can buy produce at the city farm, you just have to go and ask. Let me admit, I was pulling out spinach leaves from the bag and eating them in the street, unable to resist their tangy sweet flavour, as I walked home, hungry to cook lunch. Although spinach & eggs is one of the simplest of meals, careful judgement is required to ensure both ingredients are cooked just enough. It is a question of precise timing to ensure the perfect balance of the constituents. I steamed the spinach lightly while I poached the eggs in salted water. The leaves need to be blanched but must not become slushy because texture is everything with spinach, it needs to be gelatinous yet chewy. Once the spinach was on, I broke three hens’ eggs, slipping them gently into a pan of simmering water and poached them until the white of the egg was cooked but the yolk remained runny. Be aware, you have to be careful not to break the yolks when you drop the eggs into the water and some concentration is required to master the knack of scooping then out intact too. 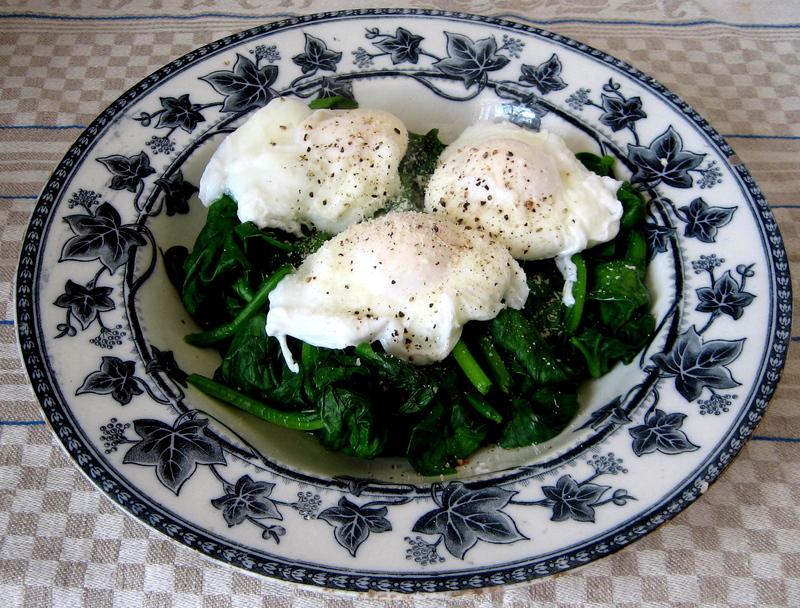 I have ruined the aesthetics of my spinach & eggs on innumerable occasions with a casual blunder at this stage, though I can assure you the meal still remains acceptable to the taste buds even if you top your spinach with pitiful fragments of poached egg. I served a generous portion of my delicious spinach in an old soup dish and – blessed with good luck – I balanced all three eggs on top, perfectly intact and wobbling like jellies. With eggs freshly laid that morning and spinach picked half an hour before I ate it, the ingredients could not have been fresher. No vocabulary exists to explain fully why I like this combination so much, it is something about what happens when you recklessly slice through the egg and the hot golden yolk runs down into the slippery seaweed green spinach. You have to try it for yourself because the combination of the sweet yolk and almost-bitter spinach is astounding. With the addition of a little ground black pepper and grated parmesan on the top, I carried the spinach & eggs outside into the garden triumphantly, enjoying my lunch in the sunshine for the first time this year. The anachronism of eating my meal of ingredients fresh from the local farm, here in the secret green enclave of my garden in the heart of Spitalfields only served to amplify the pleasure. It was an unforgettable moment of Spring. 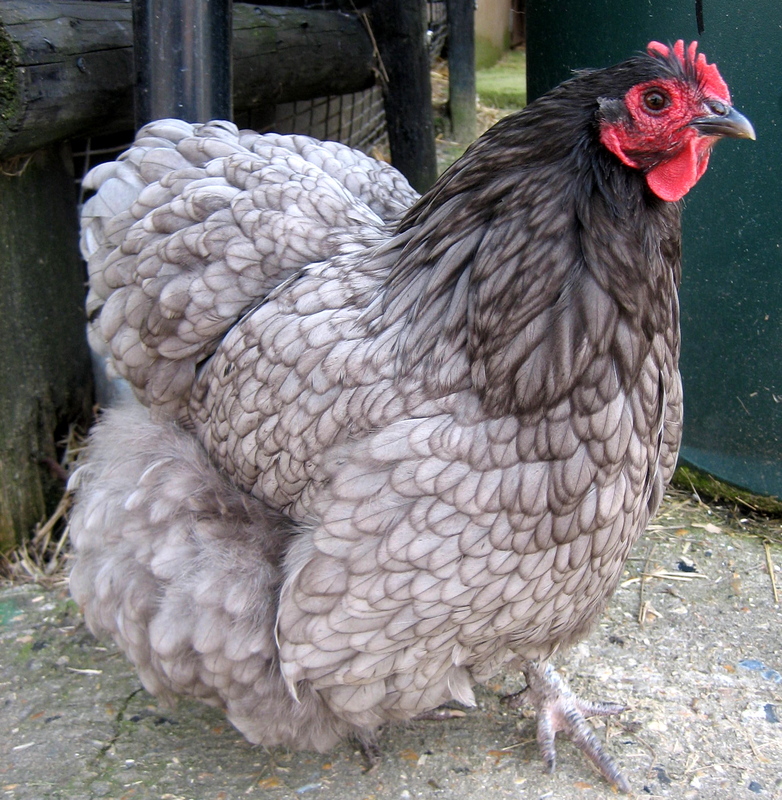 The chickens look remarkably well for ex-battery hens. This post, like the combination of eggs and spinach, is perfection. Why is spinach so great? I don’t know but – here’s a secret – if people say they don’t like it, I like them a little less. The Gentle Author cookery season, hurrah! GA, what a great piece. Wow, that spinach doesn’t look like the kind I get around here in a cellophane bag. Nothing like fresh,eh? Thank you for sharing such a beautiful real life story. Freshly grown spinach, rescued chickens finally enjoying life and laying eggs – making such a dish on a spring morning – could almost taste it! A lovely story, something to cheer us all up after a, so far, miserable spring. Thank you GA. Factory farms should be banned, we will never, knowingly buy any eggs from them! It is shocking that we should ever treat any living creature with such cruelty. Spinach and eggs sounds delicious. I’ve only just discovered this wonderful blog, I’m not a Londoner but I had a stall on the Sunday craft market for a couple of years (97 – 98). We’re having spinach tonight with butter, garlic and grated Parmigiano. I look forward to reading more and taking in the wonderful photos…..
Show-and-tell time that makes my mouth water. I will find an equally lovely soup plate, even if I can’t get the fresh eggs and spinach. And shall enjoy an early lunch full of Canadian spring. Thank you for this delightful, sympatico Spring story with its lovely photos and perfect recipe. I happen to have spinach from a Brooklyn farm (yes!) and some local eggs, so can’t wait for lunch today! Just lovely. And to think of these battery hens happy simply feeling the sun–it gives a new level of emotion to a quiet morning. I’ve wondered where the name Eggs Benedict comes from for this dish? A favourite of mine too. I have a family connection with the Spitalfields area. In the 16th century a ancestor fled to London to escape death from Brugge. He did very well as a silk merchant. His name was Vercolge, and my direct ancestor married his daughter. 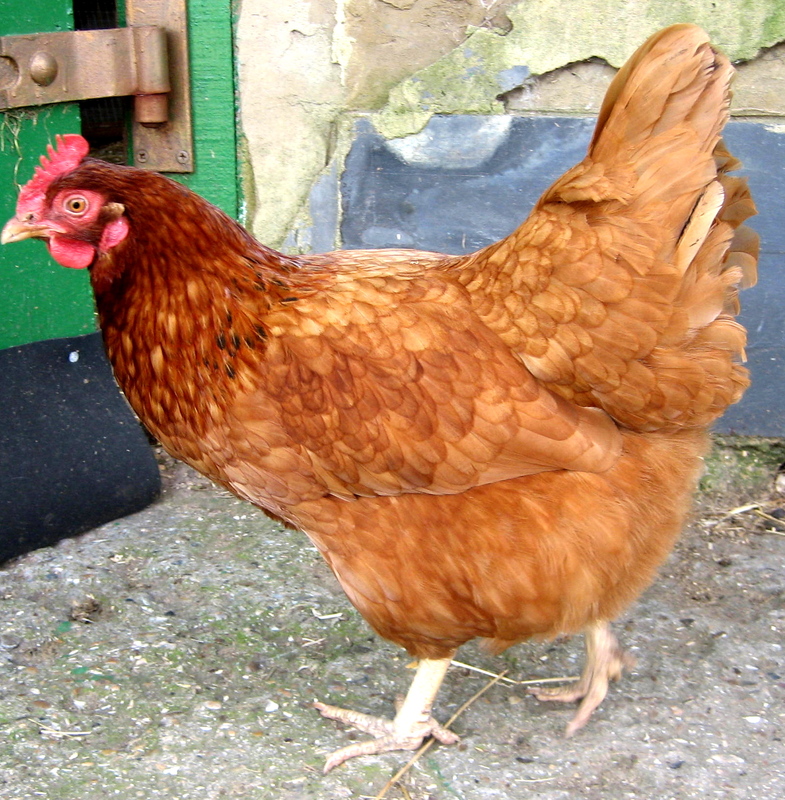 Not for the first time I was shocked when I read about the fate of battery hens. My fate in humanity always slips a little more after I read of such cruelty. Thanks for the story – I loved it. Annie G. I feel the same way when people say that they hate cats. They can dislike, but never hate. And what a lovely plate, too! Sounds like perfection; what wonderful writing and photographs! I’m a latecomer to this blog but looking forward to catching up. 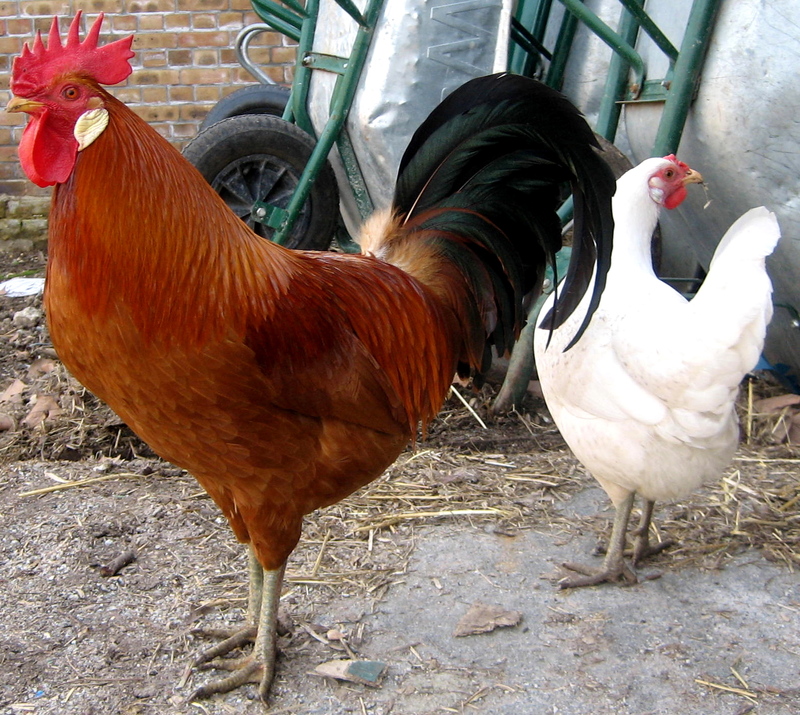 Greetings from my own paradise in France, where I get fresh eggs and sorrel from my neighbours. Kellogg is a very handsome bird! When I recall how a factory farm looks here in the States, with the chickens unable to stand up or move about, I want to scream. 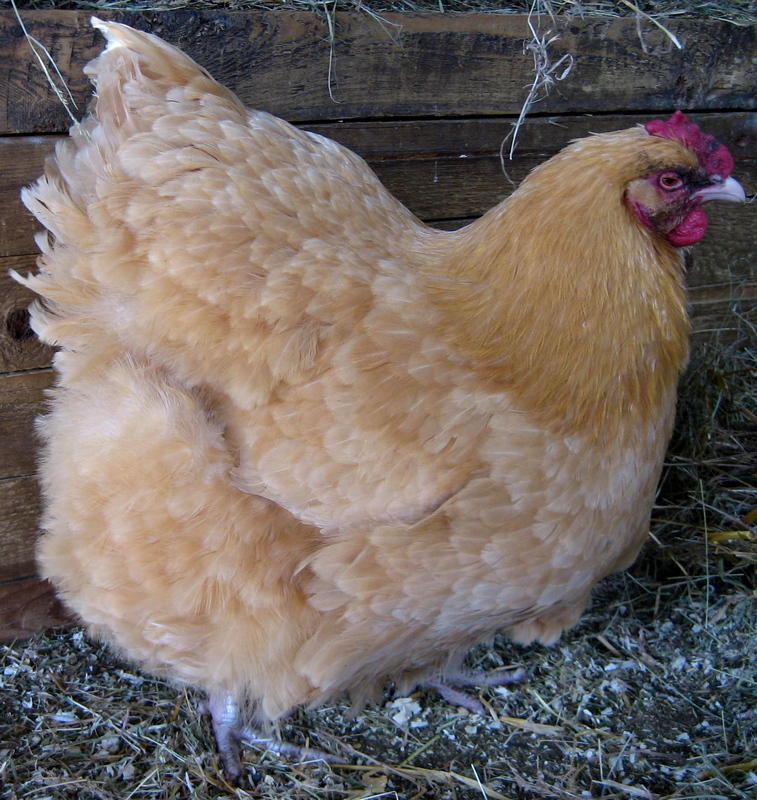 No wonder the eggs they produce don’t smell or taste good. Your description of lunch was so luscious, I am fraught with envy. Also hungry. Thanks for sharing your lovely day! Many thanks for your daily dose of wonderful writing….not sure if I’ll be around when you finish your mission as I’ll be 93 by then….one can but hope! Dave.